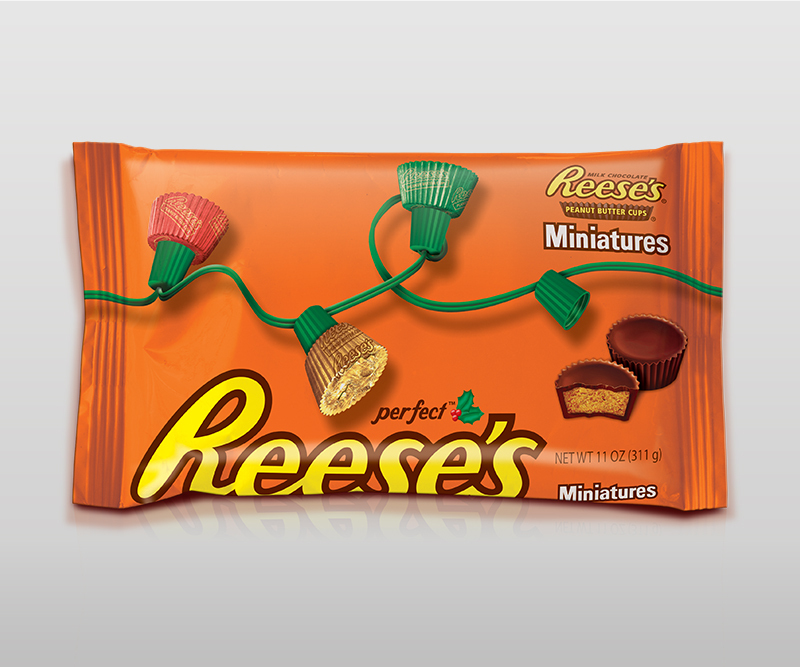 Reese’s® Seasonal Packaging – Zucconi Idea Agency, Inc.
We stopped treating the bag like a box, with panels that confine content. Stopped imprisoning the logo on a mythical "side panel." 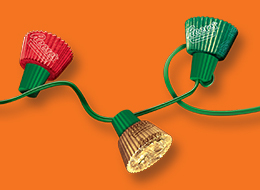 Stopped thinking that Reese's orange couldn't be a holiday color. We relocated the logo to the bag shoulder, increasing presentation 900% - a decision that freed the top of the package for seasonal/editorial graphics. Turned the inevitable stacking of bags on-shelf into an opportunity for a powerful massed brand presence. Let the package function as POP, in a retail environment increasingly hostile to traditional displays. We were pleased when the new shoulder architecture spread to other icon brands in the Hershey portfolio. And absolutely thrilled when we saw our competitors flatter us by imitating it.